Are you looking for quirky clothes, accessories and home products? Design inspired products that are not being retailed at every store? Then all you need is ‘Kaamchori’. In case you are wondering…. Kaamchori is a hot new Ahmedabad based startup! Kaamchori stands for everything unique, different, one of a kind, “alag”, “hatke”! Handcrafted and styled according to contemporary designs and practical uses, the line is an eclectic mix of quirky, fun and stylish. The founders of this colourful startup are Sanjana Kapoor and Amita Jain. 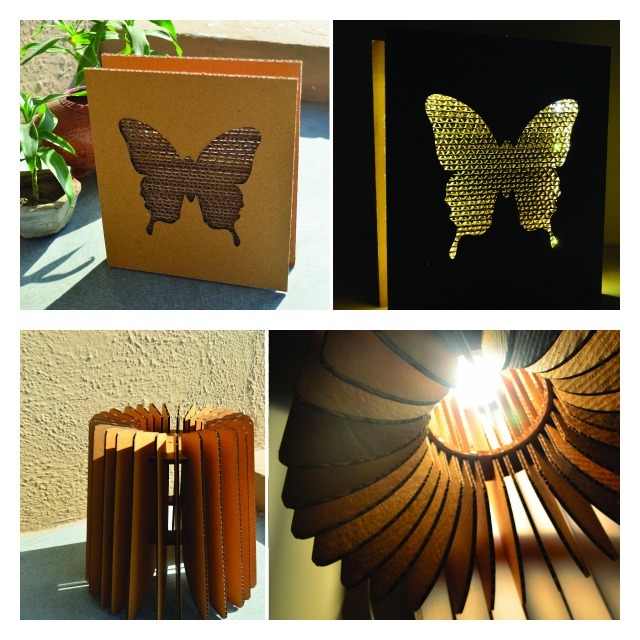 Amita is a product designer from MIT, Pune and loves to create products from recyclable materials. She is the brain behind their ecological range of lamps. Sanjana on the other hand is a lawyer, yes you read it right, a lawyer, who loves to design, travel and create unique products. She is responsible for the clothing, accessories and home décor line. Together they are team that creates magic! 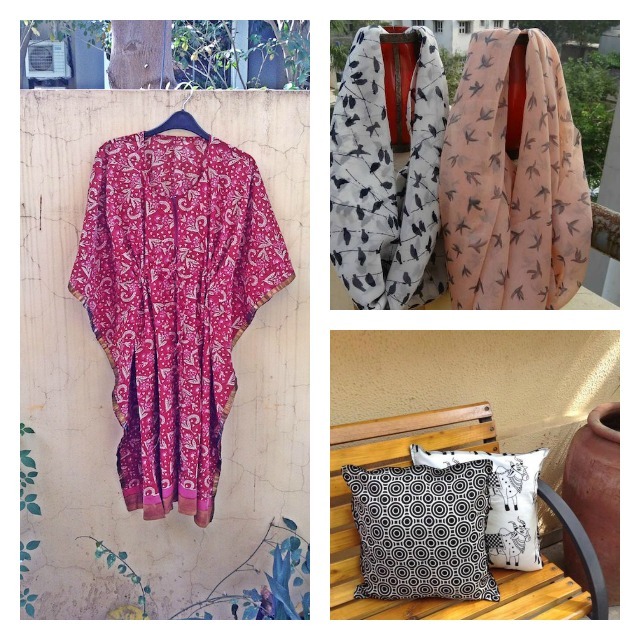 Sanjana explains, “Kaamchori combines our love for different textiles, fabrics, recycled and corrugated materials into beautiful, one of a kind products that would appeal to anyone looking for unique pieces for their homes or themselves!”. 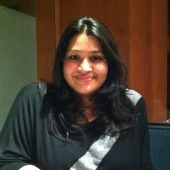 Amita adds, “Kaamchori as a concept evolved, as the name suggests, in doing kaamchori! We hate routine! And the result is kaamchori! Routine is boring, and our motto is spice up your life, wardrobe and homes by adding a little kaamchori to it!” It doesn’t matter who inspired these lovely ladies to try product designing, all we can say is that they are fabulous. 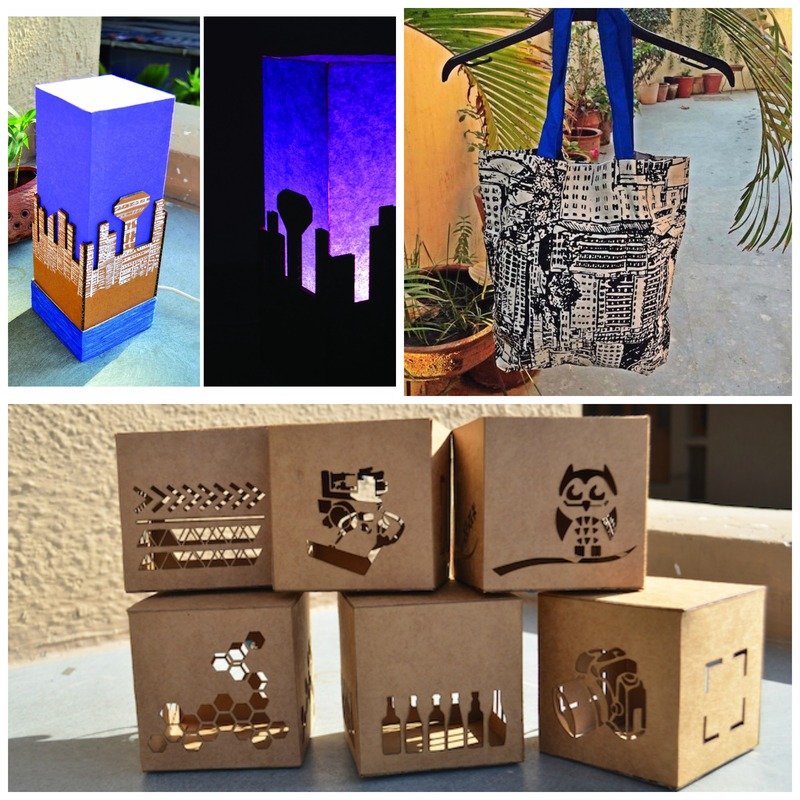 Their products are a crowd puller and there is something that suits every person’s design sensibility! At present their product range includes home decor like cushion covers, lamps, coasters, trays etc to accessories like scarves, stoles, tote bags, travel kits to clothing like kaaftans, capes and jackets. Apart from being unique, these products are also easy on the pocket and the prices are as low as 250 Rs. Currently they do not have a store, but are retailing online through facebook and via exhibitions around the country. You can catch them this week and indulge in some shopping! Their exhibition is on International Women’s Day, i.e 8th March, 2015 at Anay’s Gallery, Prahladnagar. Time 11 a.m till 10 p.m. Be sure to be there early…. their products literally fly off the shelves!